Self-service social marketing platform for dealers. The Launchpad platform aims to empower dealers to run beautiful, compliant, and highly targeted social ads on Facebook and Instagram faster than ever before. 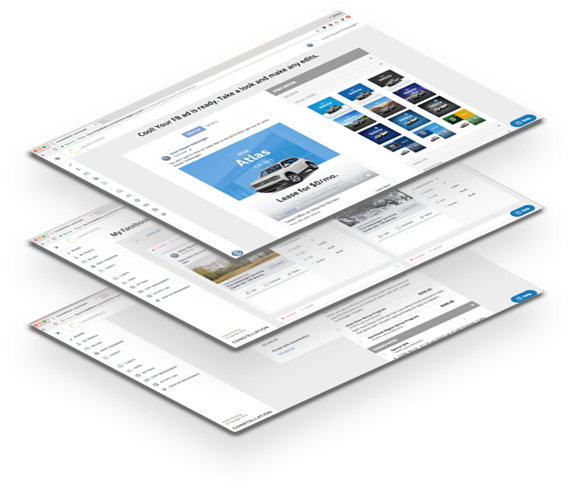 Designed specifically for the automotive industry, Launchpad runs ads for Sales, Service and Parts, CPO and Pre-owned utilizing Constellation’s Creative Library, customized for your dealership. Drive traffic to your website, promote lease specials, and unload aging inventory with Facebook ads that feature specific prices or generate deals with up-to-date incentive data and a built-in disclaimer. Don’t leave your service and parts department out of your advertising strategy. Increase service appointments and move parts with custom ads and highly targeted audiences, like your inactive service CRM list. Keep your audience engaged with additional seasonal and dealership branding ads from Constellation’s creative library, or upload and launch your own photos, videos or creative assets on the fly. Launchpad is easy to use for any member of your dealership. Create and launch social ads in just ten clicks or less. Don’t wait for an agency. Launch ads when you need them - before the inventory sells. Launchpad is the only dealer- focused social ad platform created by dealers, for dealers. Go beyond organic - target your ads strategically and easily with powerful targeting options. Stay compliant with our templated legal disclaimers and brand-approved creative assets. 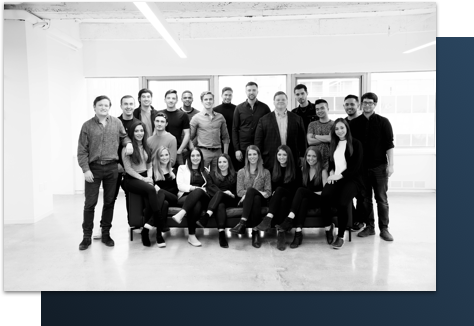 Launchpad is developed and managed by Constellation Agency, an NYC-based social marketing firm in the automotive industry. Constellation created Launchpad to solve common issues and pain points that dealers commonly faced in their day to day marketing needs. Constellation also offers a suite of managed service social, search and display offerings and creative production capabilities. Ready to see Launchpad in action? Submit your information below and our team will reach out to you to schedule a walkthrough of the Launchpad platform and offer a consultation on how it can be used to supercharge your digital marketing efforts.